A heartfelt gift that could save lives has been donated to a Weymouth school by the county’s Freemasons. Over £2000 worth of defibrillator equipment has been given to Budmouth College by local Freemasons lodges and chapters. 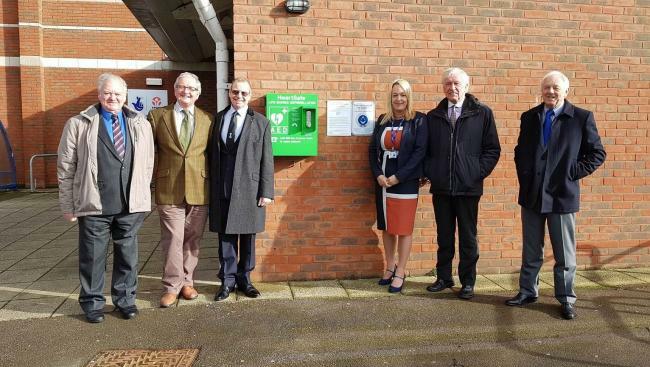 The potentially life-saving device has now been installed at the entrance to the school building and is available for use by the public. Graham Glazier, leader of Dorset’s Freemasons, said: “As Freemasons we believe in playing a key role in our communities and give time and money to charitable ventures. It’s an honour to be able to supply this machine to the school.